Creation & Evolution Seminar March 21st – FREE! After viewing and preaching on some of Russ Miller’s material, I started working with him to find a way to bring him out to Queen Creek. So Saving Grace and four other churches from our Local ACCO (www.theacco.org) came together to sponsor this event which is FREE and open to the public at the beautiful Queen Creek Performing Arts Center! 7:00 PM – An Old Earth or a Global Flood. With our faith being chipped away every day by what is taught about evolution in the secular media and schools we, as the Church, must do all that we can to speak the TRUTH of the Bible. I can think of no better or easier way to do this than to let Russ do the talking. He’s an experienced speaker who provides a wealth of information in an easy to understand manner. Watch this video for more information: http://vimeo.com/7965355. Then invite your family and friends who need to be at this event! With my background in the sciences before becoming a pastor, I saw firsthand what today’ so called “knowledge” can do to people’s faith! I am so glad that we have this opportunity. I am really excited about this event! Click www.creationministries.org for more information about Russ Miller’s ministry. Click www.theacco.org for more information about the ACCO. I am emailing you about a rather difficult situation. 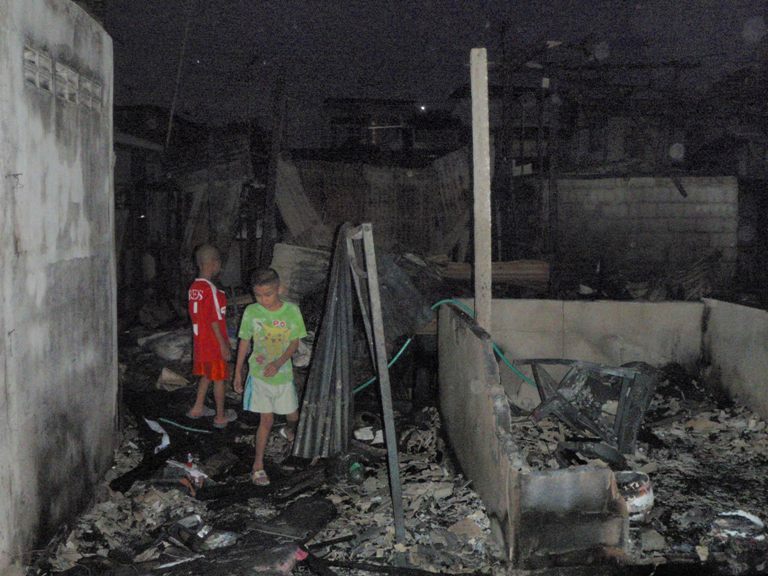 Today, there was a fire in the slum community which is located right behind the daycare and just down a small alley from where I live. Thank God that the wind was not blowing towards the daycare or my apartment block – neither place has any damage. 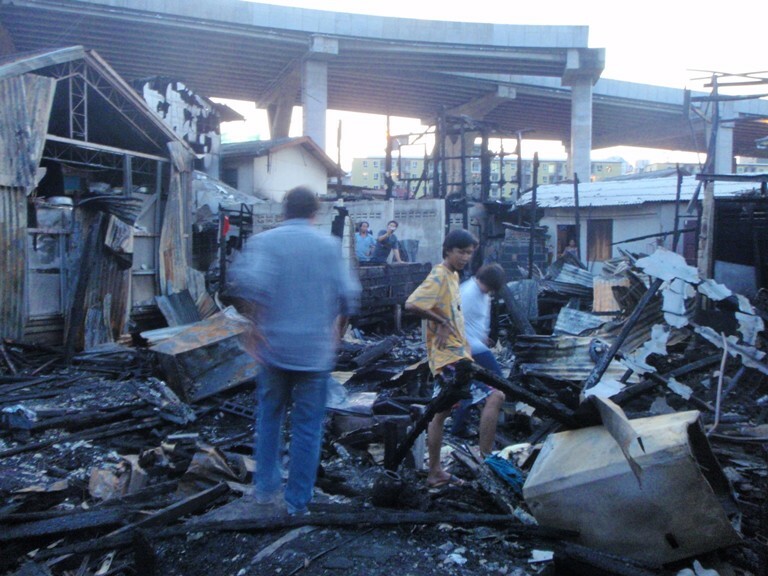 However, within the community itself quite a lot of damage and destruction occurred. 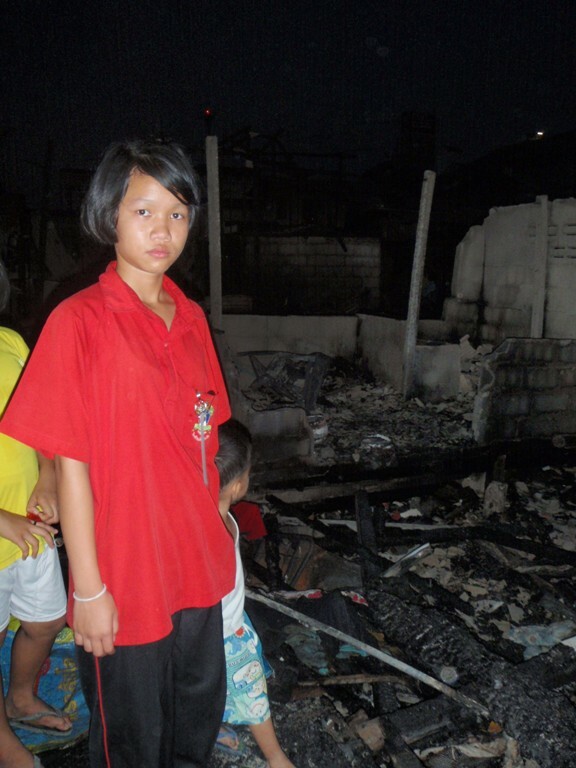 Over 20 homes were destroyed – affecting at least 26 families. Many of these families are connected to the daycare. We had former students coming to the daycare who literally now have no home. The fire was contained before it could burn the entire community down, however due to the fire fighters’ efforts, there is a lot of water damage, etc. Thankfully, no one has died. I walked into the community twice today. It is one of the hardest things I have had to do – meeting with children and families that I know, with what is left of their homes at our feet. I have attached a few pictures. I am asking you to please keep us in your prayers. Pray for us at the daycare and at the office – that we have the stamina and ability to assist in any way we can. Pray that God would open the hearts of those we meet to be able to share about Him. One of my students said ‘thank God that the wind was not very strong and the fire did not come to my house and to the daycare.’ It was uplifting to hear her thank God in the midst of her family and friends’ dire situation. Thank you to all who have sent soap, shampoo, clothes, blankets, etc. to us over the past year. I know you sent them to be used at the daycare, but God knew that these blessings would be able to be used to help these people who now have nothing. Praise God for the gifts we have at the daycare and for the opportunity to share our love through tangible means! How soon after death can someone be cremated? Question: The question was recently posed to me: “How soon after death can someone be cremated? How much time is necessary for any spiritual processes to take place?” This is an interesting question because it allowed me to share some of our basic understanding concerning our humanity and what happens when we die. I will share my brief response below. Answer: The ‘short’ answer to your question is that the body can be cremated immediately after death is confirmed. For a little more discussion, however … Our understanding of humanity is that we’re three-part beings. (Though some will say two, but that’s a bit of semantics on how one distinguishes soul and spirit). We say that we’re body, soul and spirit. The body is physical. Modern (Western) science tries to claim that our life is just a result of chemical processes, neurons, synapses, and impulses. But, as I’m sure you’d readily agree, that doesn’t begin to explain the full realm and breadth of experiences that people have – near death, after death, life itself: love, sadness, memories, etc. etc. And that doesn’t agree with the Bible which tells us that God created Adam out of the dust of the earth (physical) but then breathed LIFE into him (spirit). Interestingly, both the Hebrew (the language of the Old Testament) and Greek (the language of the New Testament) words for “spirit” actually are the same word for “breath” & “wind!” So we have bodies, but we have the breath of God – Life – in us. Then there’s the third part – our immortal soul. This soul is our ‘personhood’ our ‘being’ if you will. This soul, we believe lives on even after the body has expired. In fact, on the last day, when Jesus returns, our souls will be reunited with our bodies and we will live forever. … the part of the Bible that people don’t like to hear, though, is that some will live forever at peace with God, and some will live forever separated from Him. This relationship that we enjoy with God at the end of our life and the end of days is determined by the relationship we established during our life on earth. In other words, some have said: at death people get the God of their choosing. If they want God, they get Him. If they don’t want God and refused to believe in Him and acknowledge His one and only Son – they have eternity without Him. So back to the question… Cremation only affects the body. It can harm neither the soul or spirit. On the day when Jesus returns, the Bible tells us that God will raise our bodies from wherever they are. How can he do this? Well – I can’t explain how he created the universe, or made man in the first place, so I don’t begin to understand how he can resurrect the dead. I just know that Jesus demonstrated this power both in himself and in others. He’s the only person/being to ever have lived that commanded life and death. And so in short, this is our faith and this is our hope.